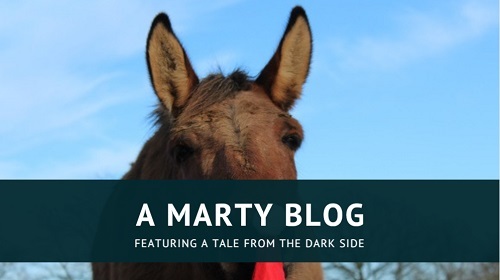 A few weeks ago, Marty won me a free entry to Sparkle Pony shows (not the Burning Man definition … well, maybe. This is Marty we’re talking about). Sparkle Pony is a fun website that aims to educate people about +R based approaches to horses and horsemanship, and last month they began running their own online shows. 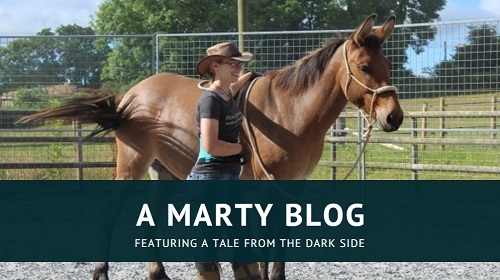 Back in 2016, Ben rode a dressage test for Concordia and I did the same test – just for fun – with Marty. We weren’t allowed to compete but I had a lot of fun playing at it. I’m a bit of a sucker for online shows, and I especially liked that SP not only had video classes (I feel like I’ve actually made an effort if I have to do something and video it) but that they allowed in-hand entries as well. Hurrah! Something for Marty to do! So we decided to reprise our dressage debut. We actually won the class, which was a nice surprise! As you can see, he was in a bit of a disagreeable mood and I was pretty sure his grumpy mule ears were going to get us in trouble. He also did not want to back-up that day. Because our entry was free, I decided to enter Xato as well in order to support the Sparkle Pony team, and then I decided to enter Iris too. Ben rode them both because he’s a good sport. One of the rules of the SP show is no bits allowed, so we used this as a fun trial to see how much Xato had learnt in his recent intensive training sessions. We are doing things a bit backwards with him; usually, we would do most things bitless and then introduce a bit later if needed, and if you’ve followed our story for a while you’ll know that’s just what we did with him in the beginning. 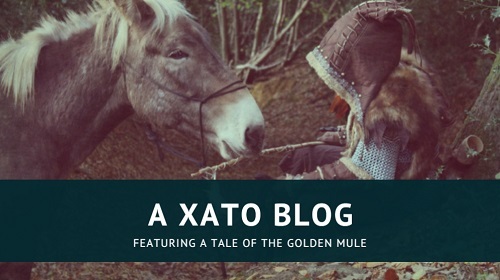 However, Xato’s concept of what the reins mean was a fairly odd one (“You want me to lean on this as hard as I can? Sure”), and in the end we were teaching him nothing except to pull through a contact and go wherever he wanted. He lacked confidence under saddle and he knew how to pull through a halter already, so when he got concerned, he would do that instead of thinking. The bit, as suggested by Joe Wolter, made things clearer for him and enabled us to help him through some worry patches. 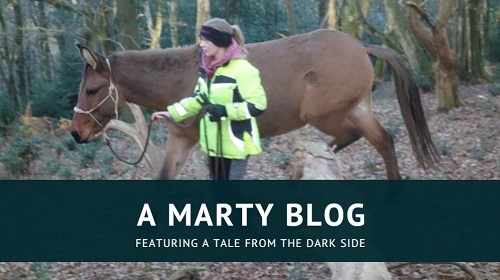 People tend to get a lot more caught up on the bit versus bitless debate than equines do – generally they just want to understand what is being asked of them. Here is Xato’s test. Much to Marty’s glee, Xato came fourth out of four, but I’m still proud of him; this is the first time he’s ever been asked to do anything like that, and the first time he’s been ridden bitless since he bolted with me about 18 months ago. He’s become much more confident in himself. He was being a little bit sleepy, so Ben had push a bit more than usual to keep him moving forward which I should point out we wouldn’t normally do – we feel it’s much kinder to give clarity by offering a clear yes or no rather than constantly niggling with your heels, but good dressage form doesn’t really include slapping a rope against your legs to make a noise that gets your mule moving forward more. Ben wasn’t really planning to compete with this one, it was more just checking whether he and Xato had enough steering and impulsion to be able to make it work at all. Iris came third, which was respectable; she hasn’t actually done much lately, as Ben’s riding time has almost entirely been devoted to Xato. All in all it was a lot of fun, and I’m already planning our entries to this month’s classes – there are Hacking Skills, more Dressage, and Fancy Dress!